It seems likely that, in years to come, The Cloverfield Paradox will be remembered more for its canny marketing strategy than for the film itself. Produced by Paramount Pictures as the third instalment of their weird anthology series of genre thrillers, but then delayed from release, sold off to Netflix, and launched worldwide for anyone to view a couple of hours after its first trailer was released. It certainly grabbed a lot of people’s attention, and fairly quickly brought along with it some pretty negative reviews. Is it as dire as many of its reviews to date claim? I am firmly inclined to say no, but at the same time I cannot make any sensible counter-claim that it is particularly good. The best word to describe the film is actually ‘awkward’: awkwardly conceived, awkwardly plotted, and awkwardly shoe-horned into an awkward franchise. Dedicated fans of science fiction cinema will get much more out of it than regular audiences, but even then half of those fans are likely to dismiss its more derivative elements and the other half scratch their head at its weirder plot developments. As I said: it’s awkward. In the near future, and with the world collapsing into all-out global conflict, a research mission undertakes experiments on an orbiting space station to use a particle accelerator to generate unlimited energy. Something goes catastrophically wrong: the system overloads, the Earth goes missing from the window outside, and a screaming woman (Elizabeth Debicki) is found embedded inside the wiring behind the wall of a service corridor. Things get stranger from there. For the most part, The Cloverfield Paradox is a science fiction thriller in the well-worn mold of Alien and all of its subsequent derivatives and alternatives. A cast of ill-fated scientists and technicians are trapped in a claustrophobic space environment. Horrifying things happen to them. One by one they start dying in unpleasant and oftentimes violent fashions. That the film regularly sparks memories of Alien is not a surprise given that film’s overwhelming influence on the genre. More unexpected are the moments that remind the viewer of Event Horizon, or Sunshine, or even the notoriously poor Supernova. It is a veritable potpourri, made up of the dried remains of every science fiction thriller of the past few decades and then enhanced with some genuinely weird little moments and twists. There is a legitimate attempt to play around with some actual science, but it’s a very complicated and confused attempt. Moment to moment it works quite well. Assembled together and it really is a red-hot mess. Cloverfield and 10 Cloverfield Lane were both very tightly plotted and streamlined thrillers, with plenty of suspense and high-stakes thrills. The Cloverfield Paradox never seems to quite get into gear. What is worse, the ill-considered addition of an intermittent subplot back on Earth actively drags things to a grind every few minutes. Counter-balancing all of those flaws are a nice sense of visual direction by Julius Onah and cinematographer Dan Mindel, and a tremendous ensemble cast of actors. It is sadly still quite rare to see a cast this diverse in a feature film, in which the Caucasian co-stars are in the minority. The cast are also uniformly strong, and get a lot of mileage out of the uneven screenplay. Gugu Mbatha-Raw is a hugely sympathetic protagonist as Ava Hamilton, whose tragic back story gets teased out over the course of the film. David Oyelowo delivers a typically grounded and authoritative performance as station chief Kiel. It is also nice to see the supporting cast working in quite a different context to where they’re usually seen: Daniel Brühl, Zhang Ziyi, Elizabeth Debicki and Chris O’Dowd all feel new to this kind of genre picture, and they all acquit themselves well. 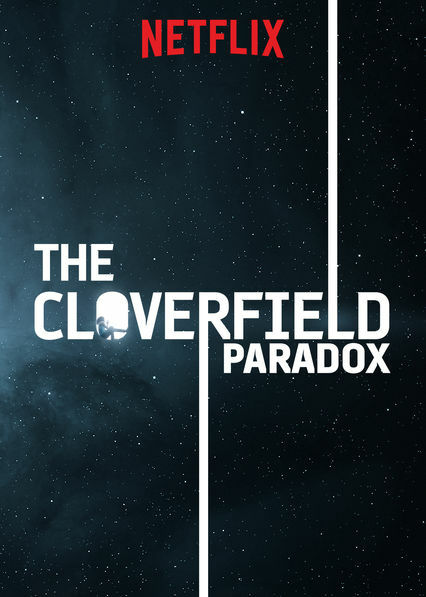 There is a clever way in which the events of this film explain the unexpected events of both earlier and any subsequent Cloverfield pictures, but as a film in its own right The Cloverfield Paradox is a complicated mess; one that would have benefitted from a strong rewrite to minimize the overly familiar and to better express its more interesting ideas. As it stands, it is an attractive film with a great cast, but hardly the most effective of science fiction films – or the most memorable. It was a neat marketing campaign, mind. Just a very silly movie. Nice review.